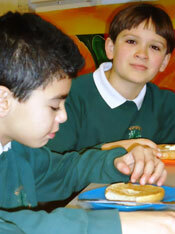 The school offers a free breakfast club which opens at 8.00am. Children can come at any time between 8.00 and 8.30. 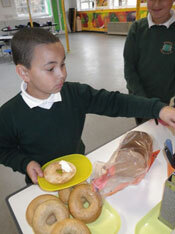 It is held in the lunch hall where children can eat a healthy breakfast and enjoy a range of activities. The school offers a free breakfast club which opens at 7.30am. 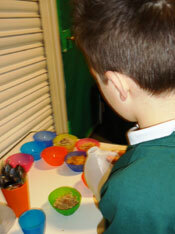 It is held in the lunch hall where children can eat a healthy breakfast and enjoy a range of activities. This is a drop-in so parents do not need to book in advance. From street dance to art, from Arabic to football... there is something for everyone. Please ask at the school office if you would like your child to take part in a club. Clubs run from 3.00 to 4.00 at KS1 and 3.30 to 4.30 at KS2. P3 Play offers an after school play service from 3:30pm to 5:55pm every day during term time. 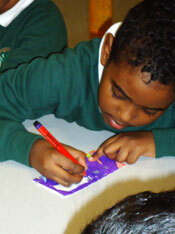 To attend during Term-time all children need to be registered. Please see link for our registration form and hand in to the play team. Parents/carers will need to inform the school/class teacher when their child is attending P3.